MINI Cooper Valve Guide Set for 2002-2006 R50, R53 MINI Cooper and Cooper S, and 2005-2008 R52 Cooper, and Cooper S convertible. WMW has found the most common cylinder head failure to be worn out valve guides. MINI does not offer the valve guides without buying a $1500 cylinder head. Since we build so many heads we have access to new guides that we use to rebuild our heads and now we are offering them to you. 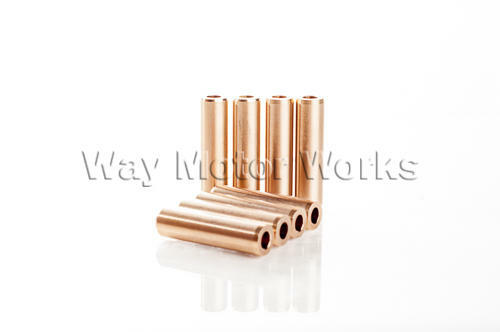 These Manganese Bronze guides are better than the stock guides and work great for stock or highly modified cylinder heads. A cylinder head with worn out valve guides will cause burnt valves, increased oil consumption, and cylinder missfires. Sold in sets of 8 for intake or exhaust.